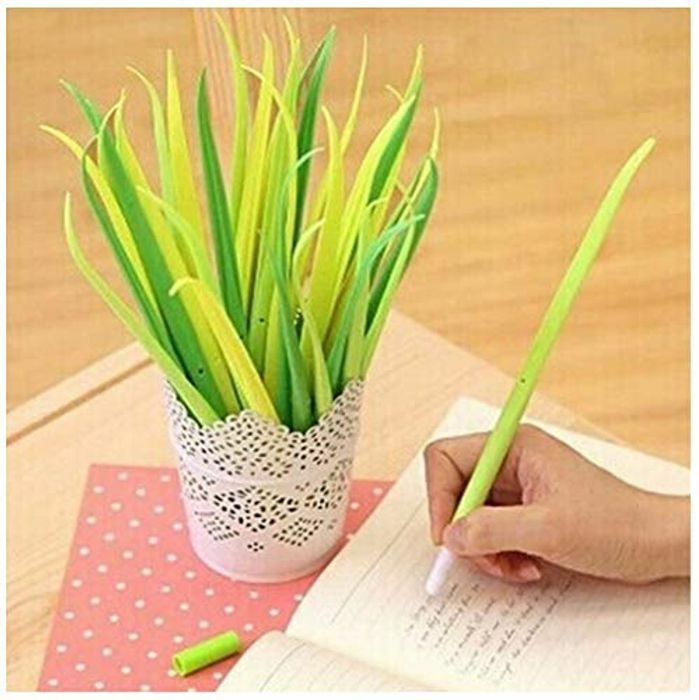 Cool, 12pcs Grass Writing Pen Pack!! Material: ABS, Size: Length 24cm. I’m doing up my living room soon in my flat and these would be perfect! I’m thinking maybe a couple of these so it’s symetrical and my aloe plant (it’s real) in the middle of them on a shelf! Never lose a pen again... or should I sa, always know where to find one. always know where they are! These are very unique pens just like the flower ones, thanks for sharing.